India ignores Oliver Tambo’s centenary, once Delhi & ANC were fast friends. Indians know and respect Nelson Mandela as the leader who ended apartheid in South Africa. They know far less about Oliver Reginald Tambo. This is sad, and unfair to the memory of one whose contribution to the anti-apartheid struggle was almost as seminal as that of Mandela. Mandela, the ‘Father of the Nation’, was the face and the fount of inspiration for the movement that overthrew the oppressive White supremacist rule. However, Tambo was the ‘Father of the Revolution’. He provided the actual leadership to the movement during Mandela’s nearly three decades in prison (1962-1990). Mandela served as president of the African National Congress (ANC) party for only six years, from 1991 to 1997. 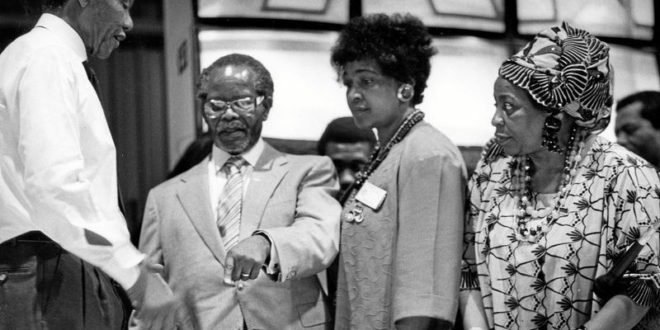 Tambo was ANC’s chief for 24 years, from 1967 to 1991. South Africa’s anti-apartheid struggle is one of the epic episodes in human history. Its successful culmination in 1994, when Mandela became the country’s first democratically elected black president heading a non-racial government, was a resounding victory for human dignity, justice and unity. Tambo devoted over five decades of his life to this noble struggle, displaying enormous courage and commitment against severe odds. 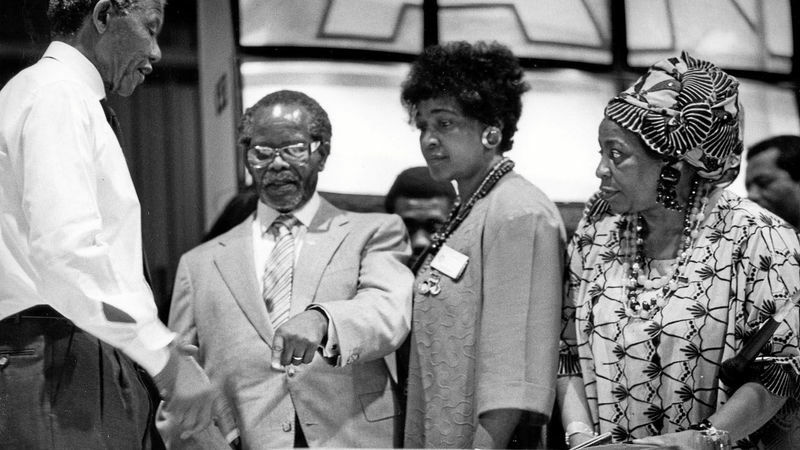 When repression made it impossible for ANC to conduct its activities in South Africa, the party sent Tambo abroad in 1960 to mobilise opposition to the apartheid regime. Remarkably, he escaped from South Africa with an Indian passport. With Mandela in prison, it was Tambo who principally organised highly effective international solidarity for the South Africans struggle. He returned to South Africa in 1990 after over 30 years in exile. Tambo, who died in 1993 at the age of 75, would have been 100 years old on October 27, 1917. But his spirit lives on. Sadly, the Indian government failed to issue even a commemorative stamp on the occasion of his birth centenary. Actually, it would have been more appropriate had the government organised a befitting event with Prime Minister Narendra Modi personally recognising the life and message of this great South African hero and his strong bond with India. Is Modi govt’s apathy towards Tambo due to its aversion to the Gandhi-Nehru family? Modi’s lack of interest is unsurprising. India provided unwavering support to the anti-apartheid movement when Pandit Jawaharlal Nehru, Indira Gandhi and Rajiv Gandhi were prime ministers. Both Mandela and Tambo were inspired by India’s freedom struggle, and regarded Mahatma Gandhi and Nehru as their sources of inspiration. Modi, his party and his government are now on an overdrive to move away from — and, if possible, altogether erase — the legacy of the Congress and the Nehru-Gandhi family. Sean MacBride, Nobel Peace Prize winner and former UN Commissioner for Namibia, had the following words of praise for him. “It has been my privilege to work with E.S. Reddy for close on 20 years, and I can say without fear of contradiction that there is no one at the United Nations who has done more to expose the injustices of apartheid and the illegality of the South African regime than he has.” Befittingly, South Africa honoured Reddy with the ‘Order of Companions of O.R. Tambo’ in 2013. When we pay tribute to a great departed leader on occasions like his birth centenary, our attitude and action should never be ritualistic. Rather, we should critically and self-critically examine whether his legacy of lofty principles and incorruptible practices has been kept alive by his successors. As contemporary South Africa gratefully remembers one of its iconic heroes, it is also painfully aware that the legacy of Mandela, Tambo and other respected leaders of ANC faces serious danger today. The ANC government of Jacob Zuma, who has been the country’s president since 2009, is embroiled in many murky corruption scandals. Shockingly, from India’s point of view, some unscrupulous Indian businessmen based in South Africa, are prominently involved in these scams. What a shame! None other than Thabo Mbeki, South Africa’s former president (Mandela’s successor and Zuma’s predecessor) and ANC chief has drawn pointed attention to the malaise of corruption in his own party. In his O.R. Tambo Memorial Lecture on October 27, he warned that his party was on a path of “self-destruction”. Without mentioning Zuma’s name, Mbeki said the abuse of state power “for corrupt self-enrichment” had become “rapacious” and “predatory”. All revolutionary movements have their ups and downs. When the virus of corruption and nepotism infects the parties in power, their idealism wanes and their commitment to serving the people becomes weak. In India itself we have seen Gandhi’s lofty ideals abandoned by those who swear by his name. ANC in South Africa seems to be heading towards a split because of its own internal crisis. Let us hope those loyal to the legacies of Mandela, Tambo and other selfless revolutionaries emerge victorious. Sudheendra Kulkarni was an aide to former Prime Minister Atal Bihari Vajpayee and is currently chairman, Observer Research Foundation, Mumbai, which has established the Gandhi-Mandela Centre for African Studies. He tweets @SudheenKulkarni and welcomes comments at sudheenkulkarni@gmail.com. Next Arbour Café & Courtyard presents Veuve Clicquot evening!